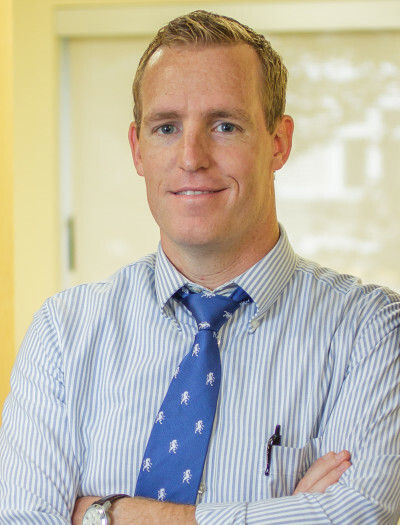 Dr. Trubey was raised in Brunswick, ME and completed high school at Pine Tree Academy preparatory school in Freeport. He then earned a Bachelor’s degree in Biology at Andrews University in Berrien Springs, Michigan where he graduated with distinction as a J. N. Andrews Honors Scholar. He completed medical school at Loma Linda University School of Medicine in Loma Linda, California and then residency in Family Medicine at The University of Tennessee Health Science Center in Chattanooga. He next received advanced training at the University of Notre Dame – South Bend Sports Medicine program where he completed his fellowship in Sports Medicine. Dr. Trubey has served in the field of Sports Medicine as a physician in football, hockey, soccer, basketball, wrestling, endurance running, track, boxing, weightlifting, and downhill snow sports. He has experience with athletes from high school, college (Div I&III), and advanced backgrounds (USA Boxing and USA Weightlifting) and currently serves as the Head Team Physician for the University of Maine. Dr. Trubey is board certified in Family Medicine and Sports Medicine and has published on the topics of concussion, tendonopathy, and sports nephrology. His professional interests include sports-related concussion, diagnostic ultrasound, and functional movement patterns. To contact the office of Dr. Trubey please call (207) 307-8908 or by fax at (207) 307-8918.